Starting a fence project for your property in Georgia? What are your fencing needs? Some need security, some need privacy, and some might just need the aesthetics or property line divide. Whatever your needs are, here’s some fence ideas to consider pairing with your yard. Security fences serve a few purposes. This could be to further protect your home and property, to enclose pools, or to provide a safe space for children and pets to play. Here’s our top picks for securing yards in Georgia. 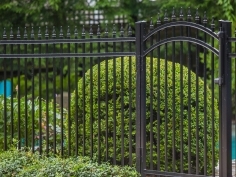 Wrought iron metal is the most durable in metal fences. It’s strong appearance is often a burglar deterrent, too. 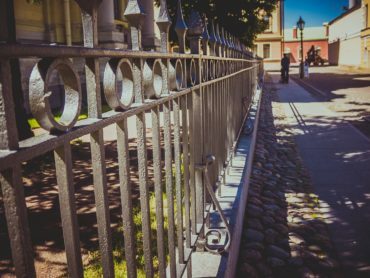 For extra protection, make sure your metal fence has noticeable spikes. A flat bar aluminum fence like the Travertine Series from ActiveYards is a great option for pool enclosures. Even though it doesn’t have spikes, it’s still very difficult to climb. Being unable to climb does give your property some extra protection. This fence idea also has a classic beauty, to it, too. The white picket fence image can give off the charm but also be altered and enhanced to offer more security. See the picture below for an example of this. Here, the vinyl panels are given height with a stone base and reinforcement with stone posts. This mix also adds versatility for a number of homes along with superior protection. This idea makes for a nice play area for children and pets. It’s robust enough to withstand horseplay but pleasant enough to not feel like you’re playing in a cage. Wooden fences are timeless and provide great privacy. With paint, staining, and custom cuts, wooden fences make a nice match to any Georgia home. Wooden fences come in many heights and layouts, so you can have your pick of how much privacy you want. Below are three classic fence ideas for privacy. Optional upgrade as seen in photo: Concrete and brick posts add an accent to complement the home and further secure the fence in place. This design is a much more unique, but provides the same amount of privacy as the more traditional vertical boards. Optional upgrade as seen in photo: 4×4 posts topped with simple detailed caps for an extra subtle change from the usual. Stain the wood to better match your exterior. More and more people are stepping away from wooden fences and discovering the benefits of other lower maintenance materials that also provide privacy such as vinyl and bamboo. Here’s and idea with each of these materials. A bamboo fence gives off a relaxing and all-natural look while providing great privacy. Georgia residents, you’ll also be interested to know that this material holds up well in hot and humid environments. This fusion series can be found exclusively at an ActiveYards dealer like JDH Decks & Fences in Garden City. It’s a sturdy vinyl material that has the look of natural stained wood. It’s available in 4 different colors with aluminum posts. The panels have GridLock Technology clicking into place and can be installed vertically or horizontally. Fences can add great resale value to your home, especially with a fence that has a lifetime warranty. 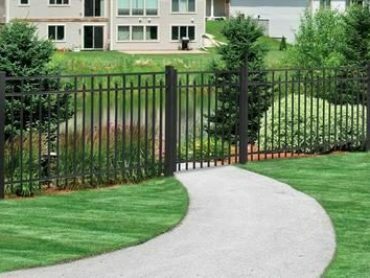 Aluminum fences offer great ornamental design to give your property aesthetic appeal and last for a lifetime with little maintenance. Check out two fence ideas to charm your neighbors below. 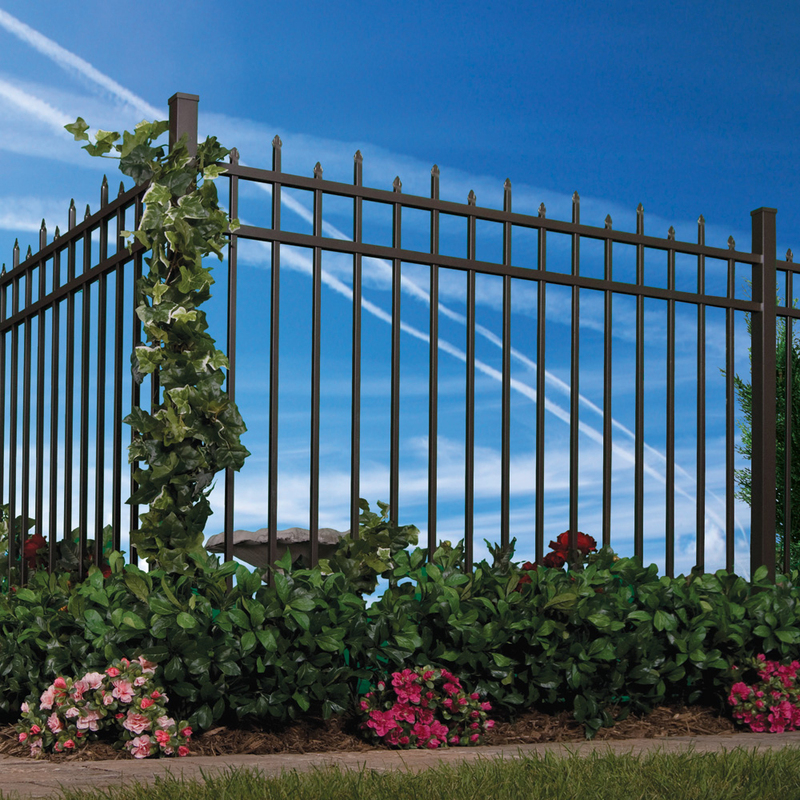 This series of aluminum fencing comes from ActiveYards with all its clever ingenuity and ease of a lifetime warranty. Here, you can see a sample of the ornamental design and its potential for so much more. 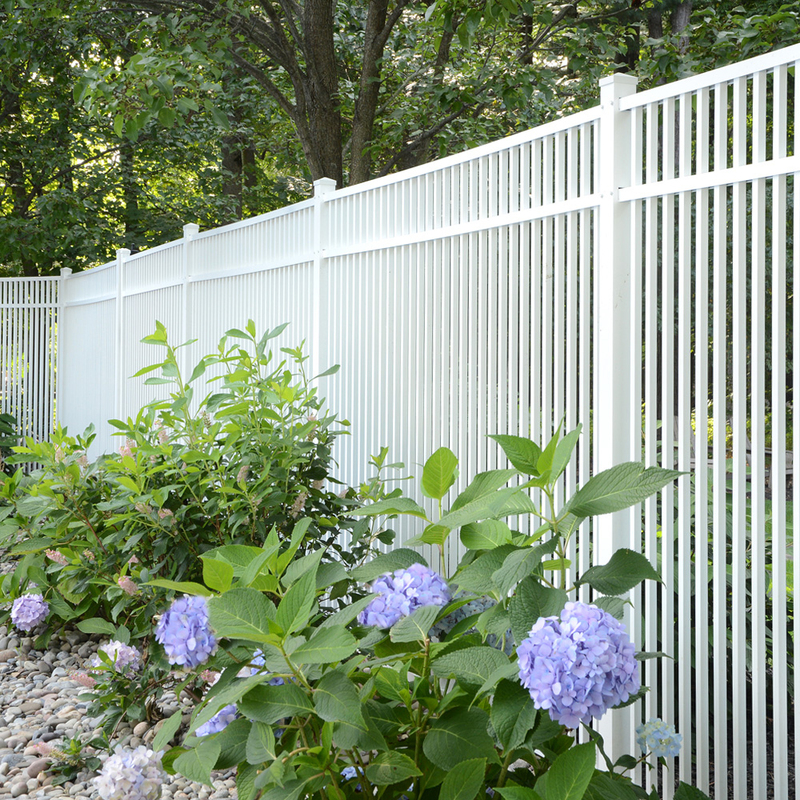 Another great thing about aluminum fences are that the metal comes in many different colors. Maybe a fun accent color is all you need to enhance the charm of your property. Sometimes all you need a fun ornamental gate, like the one in the picture to spruce up your property line. Certain vinyl fence styles also allow offer a decorative appeal and a lifetime warranty. 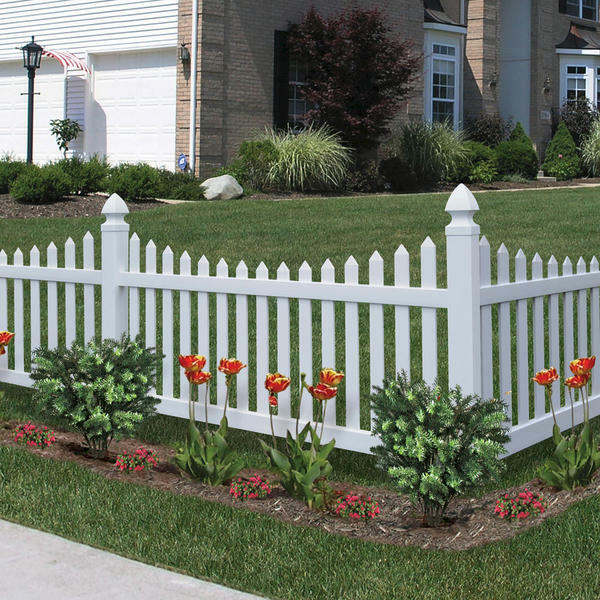 Look at this Primrose Scalloped White Picket fence from ActiveYards featured below. 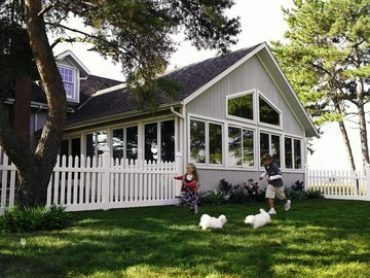 It boasts a classic home sweet home look with a subtle change to the traditional look, the scalloped trim. 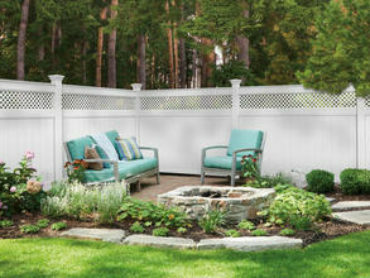 Whether you live in the heart of Georgia, along the coast, or a border town, these fence ideas cover all your needs. Speaking to professionals or visiting a showroom are a great way to get a better picture and quote for your project. Don’t be shy! Call around to some of Georgia’s top fence companies to further discuss your fence ideas. They’re there to help!